The end of tenancy notice is a solicitor approved notice letter for ending an assured shorthold tenancy in England. 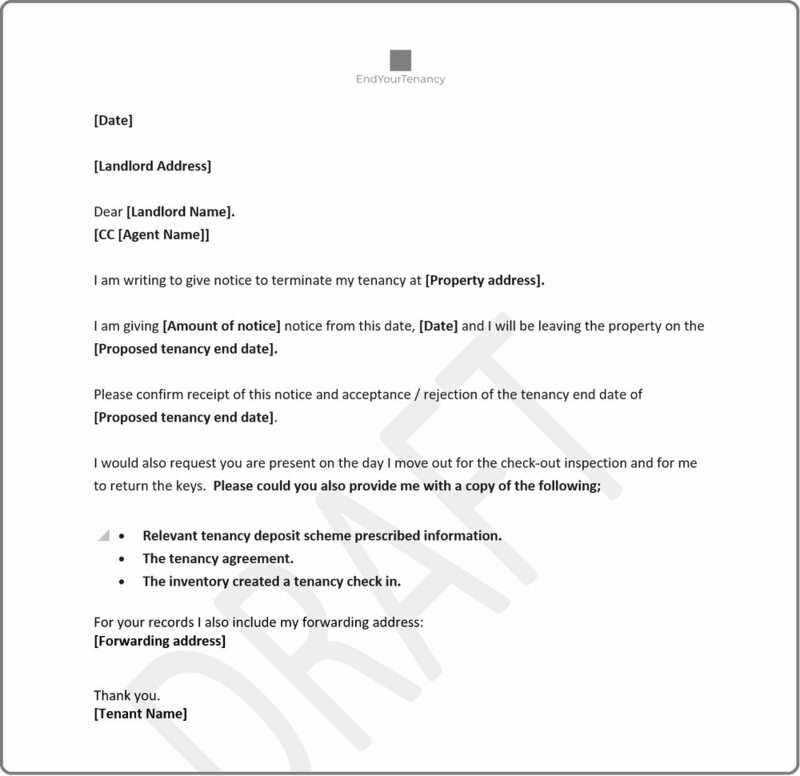 The notice can be used to end a fixed or periodic tenancy or to request early termination (surrender) of a tenancy. The notice document helps you ensure you have given written notice to end your tenancy and avoid the risks associated with abandonment.